Google My Business gives property managers the power to rank their short-term rentals ahead of listing sites without having to dig into SEO. While the name might not immediately ring a bell, you have surely seen Google My Business, formerly Google Places, in practice. Google My Business is a “free and easy-to-use tool for businesses and organizations to manage their online presence across Google, including Search and Maps” that helps customers find your business. If you have ever searched for a business or service near your location, you’ve probably seen Google’s interactive map - called a “map pack” - of local businesses matching your search. How can you capitalize on being included in this map pack? Follow our steps below to get up and running! You may have seen Google My Business in the past when searching for local businesses. Why should my property management business use Google My Business? Setting up a profile gives Google all the information it needs to match searchers with your vacation rentals. 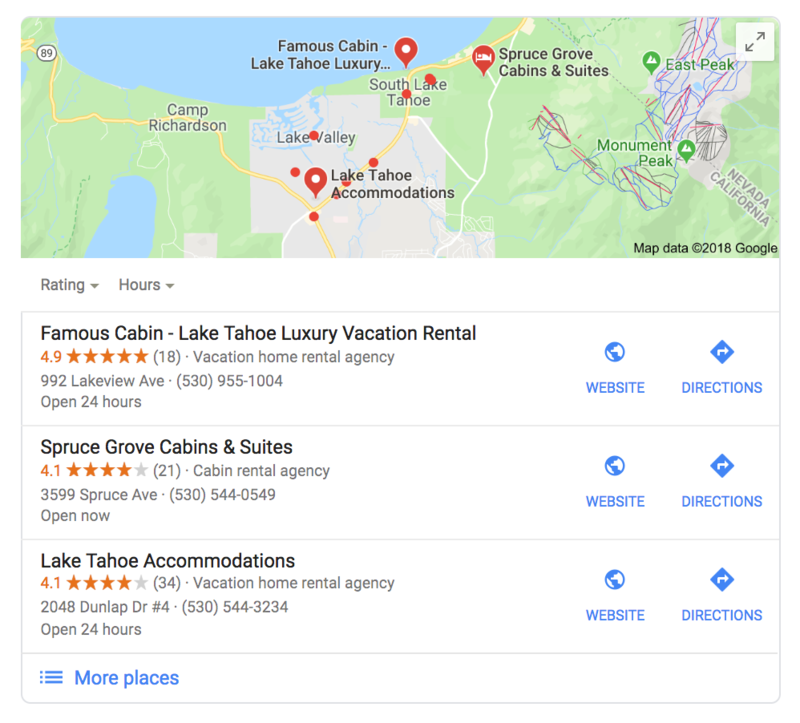 By adding Google My Business to your vacation rental business’s marketing strategy, you can “jump” the larger travel listing sites in the organic search rankings by being featured on Google’s highly engaging map. Being featured in these results gives property managers and vacation rental agencies higher impressions for their Google My Business page, allows them to rank higher in organic search results without making major changes to SEO, and perhaps most importantly, it allows property managers to be listed before popular vacation rental listing sites like Airbnb, HomeAway, VRBO, and more in organic rankings. This ultimately drives more traffic to your website, increases direct bookings and cuts out listing site fees. After you’ve completed these steps, Google will send you a postcard in the mail to verify your address. Your Google My Business profile will not be visible until this is verified. 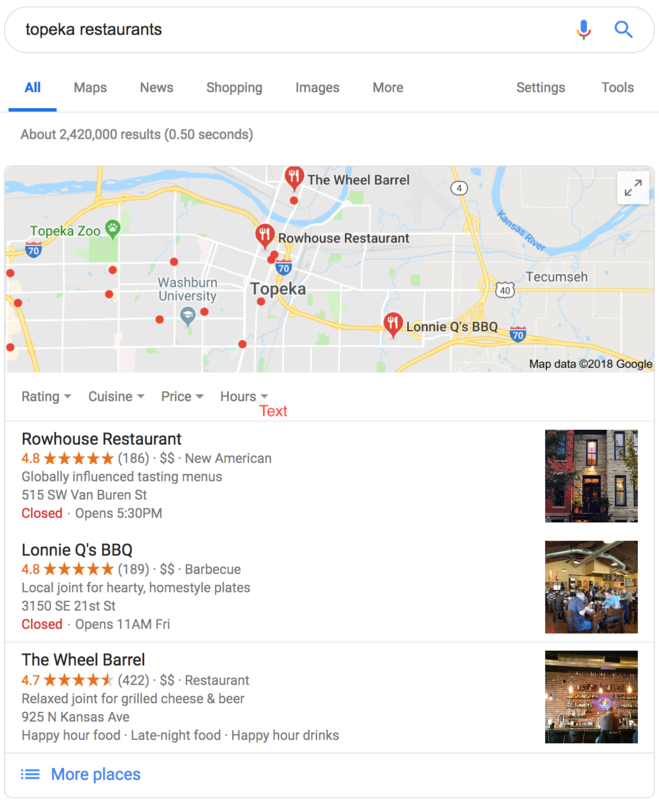 After verification, you should begin showing on the Google Local results, which will help you in two ways: organic branded search and organic search. Best practice is to create this profile with the same care you take when adding properties to listing sites. Be aware that Google is rather ambiguous about what types of vacation rentals are allowed. At the time of writing, Google cites the following as ineligible for a business listing: rental or for-sale properties, such as vacation homes, model homes or vacant apartments. Sales or leasing offices, however, are eligible for verification. Despite this, Google often does approve and list properties that are vacation homes under the category of “Vacation Rental Home Agency.” Until the guidelines are more clear, it’s hard to say what is and is not allowed, as Google is very inconsistent. So, it might be worth trying. Google is reportedly looking to fully advance into the vacation rental search market in the near future by allowing short-term rentals to appear in accomodation search results. Until then, use Google My Business to drive high intent traffic to your vacation rental business’s website. By following the instructions above, you’ll find your vacation rental business situated among the highly prized Google My Business listings when travelers are looking for a place to rest their heads in your city.